We are in-network with United Healthcare, Humana, Healthcare Networks of America and many others. Cheryl Lee Garley Steen holds a BA in Communications, with Psychology and Bible from Bethel University of St. Paul MN, a Doctor of chiropractic degree from Cleveland Chiropractic College of Kansas City and a Fellowship with the International Academy of Medical Acupuncture. She was a collegiate gymnast but she broke her back at age 20. (Repetitive Micro Trauma Injury Syndrome) After recovering she taught recreational gymnastics for 28 years. This experience has given her an expertise in body mechanics and stretches for muscles. 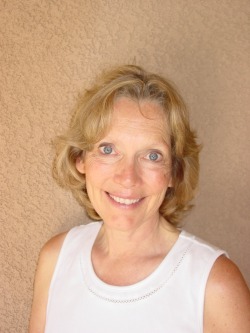 In chiropractic school, she dedicated her healing focus on extremely gentle techniques to reduce and eliminate pain, improve sleep and regain active living. She also acquired a fellowship in medical acupuncture which enables her to easily combine Western and Eastern methods of regaining healthy pain free living. She is the mother of three, wife to National Guardsman Norman Steen. She is a survivor of Mantle Cell Lymphoma now cancer free over 5 years. It's a system of analyzing the bones, muscles, and nerves. It searches for places where they are not working together properly, and then the doctor uses it to adjust the joints or muscles and restore better function. When should a person seek a chiropractor instead of an MD? As a general idea to follow, when you feel aches in your bones and muscles, you should see a chiropractor first. That is what chiropractors specialize in. For things like colds, the flu, and things that seem germ related, see a Medical Doctor first. Could Chiropractic help with non-joint things like ulcers and gastric reflux? Yes!! Russian scientists have found that people who get adjustments with their treatments for ulcers heal 33% faster than when treated with drugs alone. Dr. Steen has a special adjustment that is done for gastric reflux that gives most people a lot of relief from the pain. Do children ever need adjusting? Can you combine acupuncture and chiropractic? Yes!! Easily and with great results! Usually if you combine the two methods, the relief comes faster. It costs more, but you make fewer trips to the doctor's office. I've heard that once you start chiropratic care, you have to keep going the rest of your life. Is that true? No, you don't HAVE to keep going, once you learn how good you can feel, you want to keep feeling that good! You find out that certain aches and pains are not just because you're getting older. Some people decide they like living without headaches and prefer getting an adjustment to taking pain reliever medicines. If a visit to a chiropractor can give relief without drugs, you win on two accounts: natural pain relief, and no drug side effects. Dr. Steen prefers to do needleless acupuncture using eletricity, sound waves, cold laser, acupressure, and other assorted non-puncture forms of Chinese Meridian therapy. The same acupuncture points are used, but instead of using needles, other forms of stimulation are used to balance or move energy that isn't flowing like it should. Acupressure uses pressure. To understand how it works, focus on stimulating the points, not on poking them. It is a type of acupuncture that is also called auricular acupuncture, or acu-stim if electricity is used. Basically, all the parts of the body have an acupuncture point on the ear and the hand, and also partially on the foot. This makes it possible to stimulate points on the ear to help the meridian energy of the entire body. It is quick, virtually painless, and enhances general health and well-being. Many people get a chiropractic adjustment and then a whole body meridian check by using auricular acu-stim. We use a special instrument that helps us find the spot needing treatment, and treats the spot as well. What is acupuncture for, anyway? When is it used? It would take a full book to list all the things acupuncture helps. In Active Life, acupuncture is used especially for the things that an MD has no clue how to help and for things that seem so weird that you start to wonder if they are "all in your head". Acupuncture really is Eastern Medicine, and it's a different world of health care. It includes herbology, reflexology, color or light therapy, and aroma therapy. The main focus is always to restore balance and harmony, which then assists the body in healing itself. Eastern Medicine focuses on energy highways called meridians. Meridians are named for the organ they run through and affect. If something blocks the flow of the energy, such as a cut, surgery, accidents, and even strong emotional trauma, health trouble can follow. Like traffic at an accident on a highway, the energy doesn't flow as it should. The blocked up energy can lead to problems at an entirely different spot on the body than the original place of injury. One time a lady came in with pain at the base of one of her big toes. All the specialists had looked at it, taking numerous X-rays and even an MRI, but they didn't know what it was. She had lived with it for over three years. Her gall bladder meridian was out of balance. The problem had started six months after having her gall bladder removed. We balanced the meridian, and treated the toe and she never had that toe pain again.